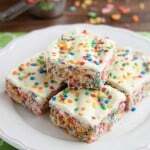 BEST Rice Krispie Treats Recipe - Dessert Now, Dinner Later! 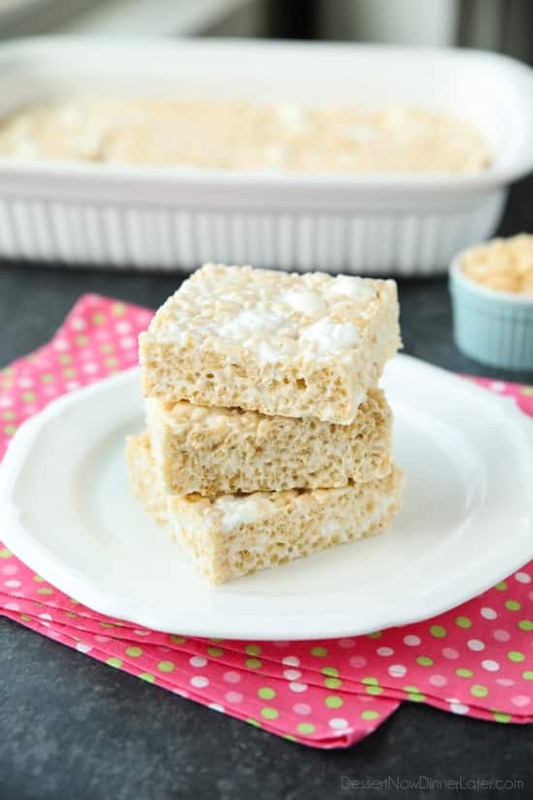 The BEST Rice Krispie Treats Recipe is soft, gooey, crispy, and chewy — and this is it! Better than the original, you won’t be able to just eat one! Enjoy this classic (done right) with your family and friends. This classic treat has been enjoyed for many generations. Kids and adults alike just can’t get enough of this iconic dessert. 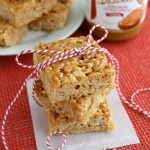 Rice Krispie Treats are definitely a memory maker. 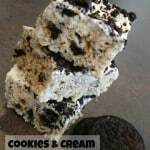 It’s always fun to create unique flavors of rice krispie treats with things like Oreos or Biscoff Spread. You can even switch out the cereal for rainbow crispy treats. 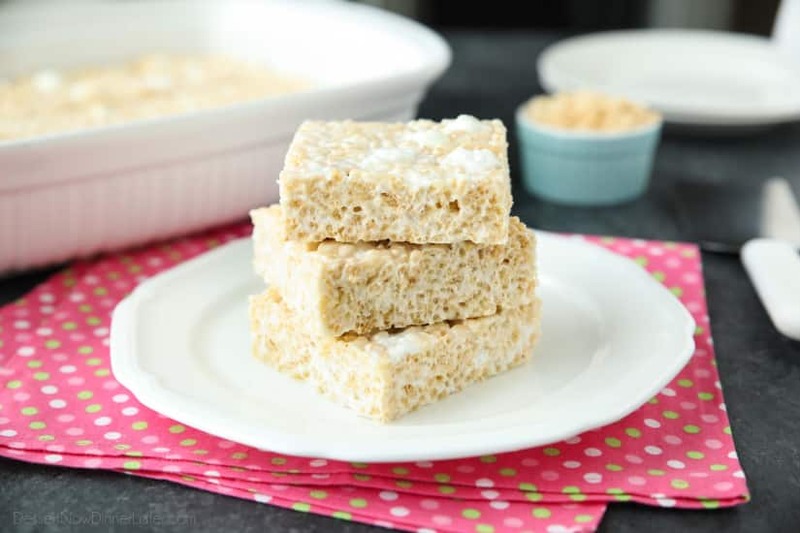 Consider the possibilities, or enjoy the classic as-is, with the best rice krispie treats recipe (below). I’m sorry to say it, but the original rice krispie treats recipe, just doesn’t cut it. It’s not as soft and chewy as the stuff they sell in the individually wrapped packages at the store. And even those don’t hold a candle to this homemade version. 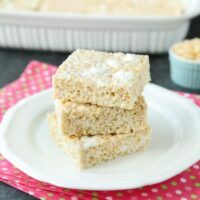 What makes this the BEST rice krispie treats recipe is that it has way more butter, and way more marshmallows, so it’s soft, chewy, and oh so gooey. 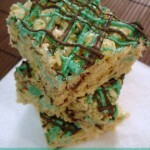 Every time I make these rice krispie treats for friends and neighbors, they rave about them and ask for the recipe. I’ve just kind of giggled and told them that you basically double the butter and marshmallows. Then I thought I better share exactly how I make my favorite rice krispie treats recipe, so everyone else who wants to can enjoy them. Can you see the ratio of marshmallow to rice cereal that these rice crispy treats have? When you pull them apart you get that “cheese-pull” effect, but with marshmallows. So good! 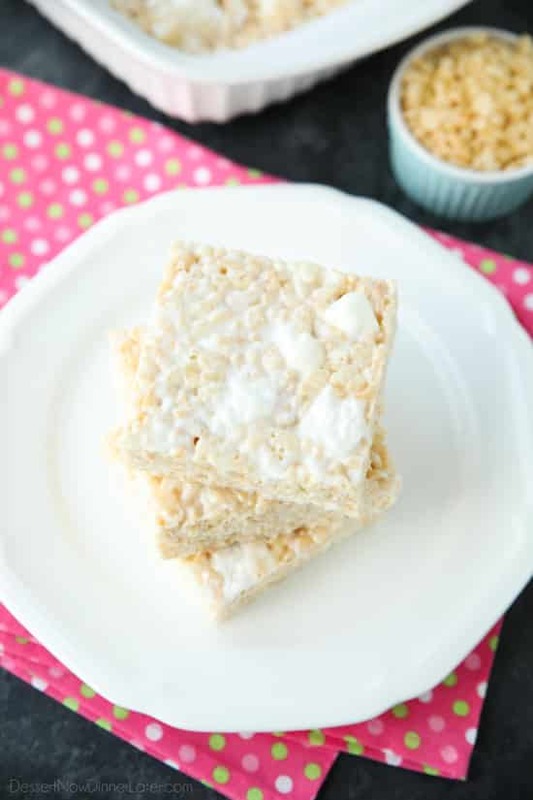 The Best Rice Krispie Treats Recipe is soft, gooey, crispy, and chewy -- and this is it! Better than the original, you won't be able to just eat one! Enjoy this classic (done right) with your family and friends. Coat a 13x9-inch pan with cooking spray. Set aside. Pour the melted marshmallow mixture over the cereal. Stir until evenly mixed. Pour into prepared pan and flatten with a greased spatula or rolling pin. Cool completely. Cut into squares and serve. Cover and store any leftovers with plastic wrap or in an airtight container up to 5 days. *Don't like chunks of marshmallows in your rice krispie treats? Just melt all of them. I love the chunkiness!! Who wouldn’t?!?! These are better then OG treats! So glad you liked them Marilee! Thanks for updating me on how it went! Just made these with my son! Delicious! I’m supposed to take them in for a Thanksgiving pig-in tomorrow, but our family of 4 could easily eat the whole batch ourselves. 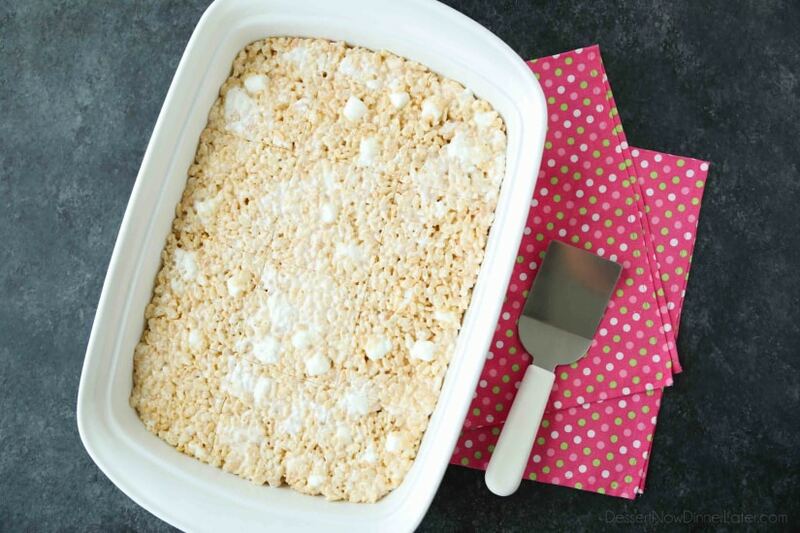 The only note I have (and this is true for all rice crispie treat recipes) is that they can be unruly when you are trying to move them from the bowl into the pan, when you’re trying to press them into the pan, and when you are cutting. I run some water over whatever utensil I’m using, and the marshmallow is less likely to grab on for dear life. Great tip! Thanks for sharing Christine! I’m so glad you enjoyed this recipe!